BCHA is a specialist housing provider helping homeless and vulnerable people access the right housing, health, learning and work opportunities. 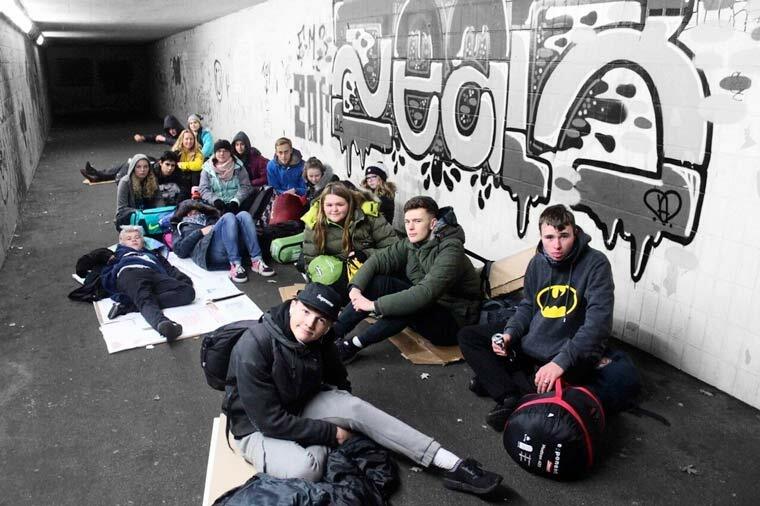 The group of young people were taking part in the BCHA-led National Citizen Service (NCS) and the challenge was a simulated version of a night on the streets. The group was woken up and moved on every few hours – like many homeless people are each night – and they walked many miles throughout the night. Bournemouth-based organisation BCHA, which helps homeless and vulnerable people access the right housing, health, learning and work opportunities, is the largest provider of NCS in the Poole and Bournemouth area. Last year 193 NCS graduates volunteered 5,730 hours and raised over £3,500 for local community projects. Rachael Cheney, NCS Staff member, added, “I was overwhelmed by how dedicated the team were in helping homeless young people in their area. When asked why they were so passionate they said it was because it could happen to them at any point and they were still lucky enough to be at home. We tried to make the experience as realistic as possible by first working through a Homes for Cathy education workbook, which was produced to coincide with the 50th anniversary of Cathy Come Home. We got them to think about different scenarios that could lead them to being made homeless and how they could overcome them. They also learnt about what being homeless really meant, to break any stereotypes they may have had.